Go up the B6160 road, heading for Kilnsey Crag. 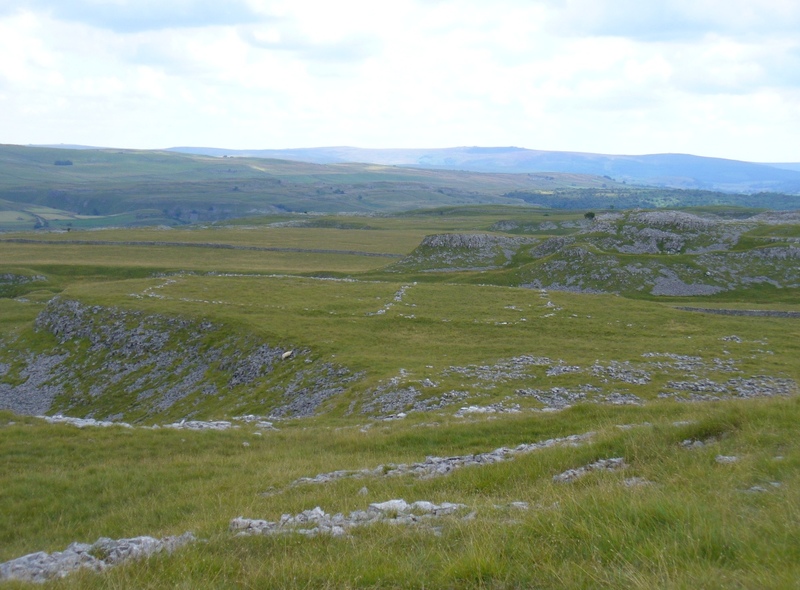 A few hundred yards past the famous crags, take the little road to Arncliffe. About a mile up, where you reach the second building on the left-side of the road, walk up behind here, up the steep fields and towards the craggy heights above. 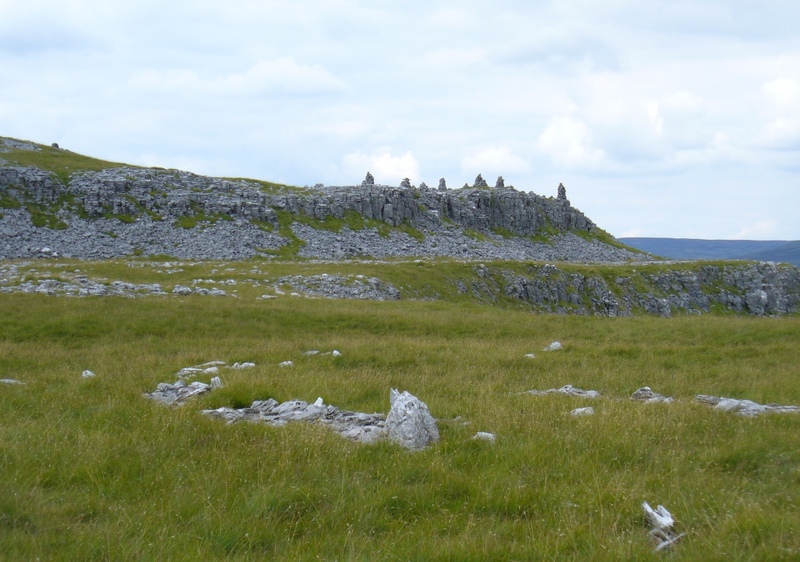 Keep right uphill till you see the cluster of cairns on the peak above; but before reaching them, walk over the rocky landscape to your left (southeast) and you’ll eventually see an excess of straight walling a coupla hundred yards away. That’s it! A bittova climb to get here – but well worth it in the end. On a spur of land amidst the outstanding limestone plateaux less than a mile south of Arncliffe village, rising near the silent ghostly cairns upon Knotts ridge above it, we come across an extensive prehistoric settlement complex. It is one of many in this upland region. Poorly described (if at all) by official archaeology websites, this place is bloody big! All that we can see today at ground level are lines of very extensive walls intersecting each other and forming very large rectangles growing further and further out from each other towards the western scree. Much of the walled structures are in good condition if they are prehistoric, as presumed by archaeologists; but it seems obvious that the site was in continuous use by local people for domestic and agricultural purposes all through medieval and later periods. The longest stretch of visible walling runs from northeast to southwest and measures 175 yards long (160m), with several stretches of parallel walling splitting the settlement into different sections of large enclosures all attached to each other. These parallel walls measure a maximum of 54 yards (49.5m) and run northwest to southeast. The aerial image of the site shows the structures very clearly in some parts. Others are more vague and some are difficult to see at ground level. But the settlement as a whole cannot be missed. 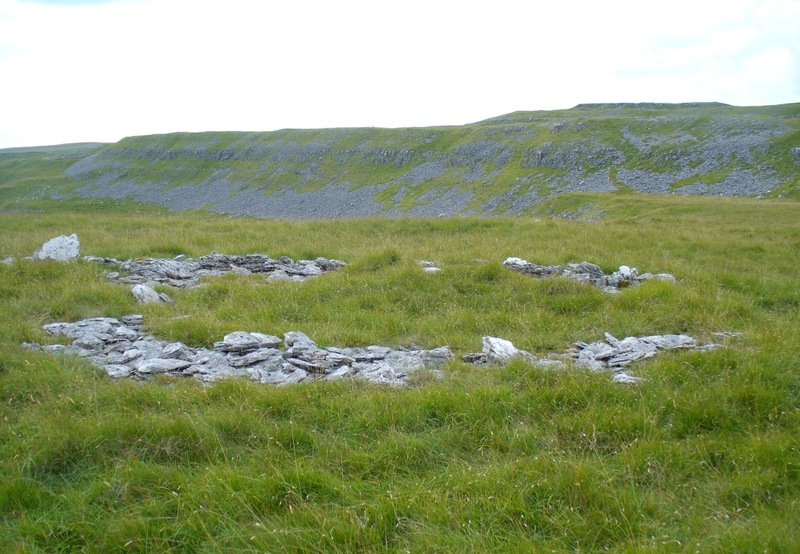 Several hut circles have been built inside the main rectangular enclosures, with two others faintly visible on the outer edges. As far as I’m aware, no excavations have taken place here, so we are still grasping at periodic straws when it comes to dating the place. 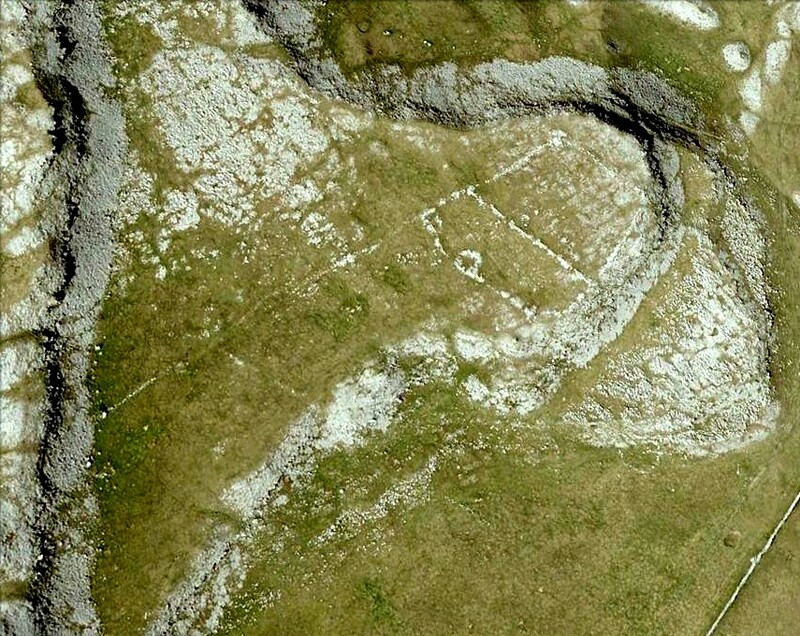 When Arthur Raistrick (1929) wrote his article about the associated enclosures like that at Blue Scar, a short distance to the east, he thought them to be Iron Age in origin. He may well right. 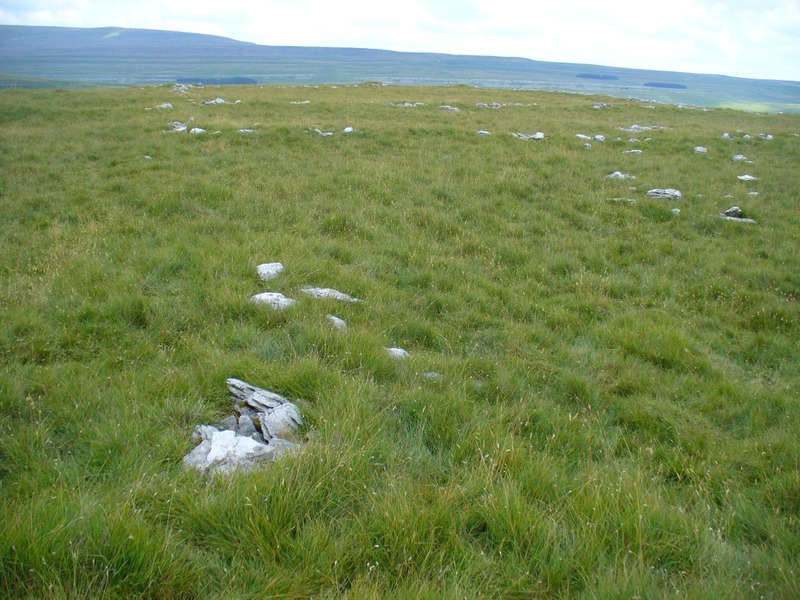 A singular enclosure circle can be found a few hundred yards to the south. This entry was posted in Brigantia (Northern England), Settlement/Enclosures, Yorkshire, North and tagged antiquarian, antiquities, Archaeology, Arncliffe, Bronze Age, enclosures, english heritage, Iron Age, limestone, medieval history, North Yorkshrie, prehistoric sites, settlements, walling. Bookmark the permalink. Hugely enjoying this site having just discovered it. Thanks very much.